Students are celebrating success with offers from esteemed universities and establishments around the world. Oxbridge could be home to four students currently in year 13. In addition, another year 13 student, has received a full scholarship to the Royal Academy of Music for 4 years and a sixth student has received an unconditional offer to study at Harvard University, USA. Executive Headteacher, Richard Sheriff, said “Harrogate Grammar School is a non-selective state school and the Sixth Form offers 35 courses. We pride ourselves in offering a curriculum, student support and guidance to enable each individual to achieve their potential. 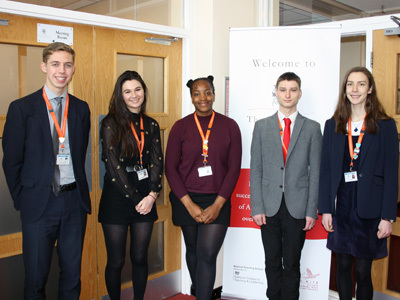 Head of Sixth Form, Neil Renton, said, “We are incredibly proud of our students and their achievements. This is testament to the hard work and determination of students, their families and teachers over many years. “I realised that attending Harvard was the perfect opportunity for me. When I visited I was immediately welcomed into a warm and friendly, diverse community where people were committed to learning and working hard to get the best out of themselves, but also the best out of others.” states Achele Agada.